Find all Reliance Customer Care numbers for Mobile, Broadband and Netconnect services. Great facilities of mobile and internet network are not without its precincts. Users of different mobile network services are often having mixed reviews with pros and cons of each service. As far as coverage in all sorts of regions comes, Reliance is definitely not a preferred choice today. We know that reliance provide great service facilities. Maximum numbers of switch-overs are noted from Reliance to other providers. 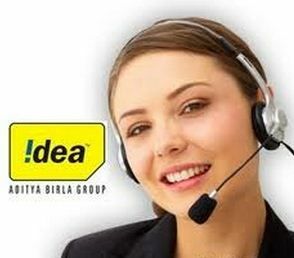 We have already provided toll free numbers like Idea, BSNL, Vodafone Toll Free Number and Airtel. 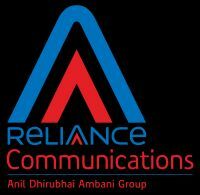 This post is for convenience of users who are looking for customer support of Reliance Communications. Reliance Customer Care Number and toll free number will be a great help for users to sort out any issue with service. It will also be handy to get any information and change in types of service. This post provides all Reliance Mobile customer care numbers for prepaid and postpaid services. Reliance is one among the top network providers and is still fairly popular in some circles for its affordability. Reliance customer care details will provide you host of information. Recharge plans, account information, new plans and packages details will be availble with a single call. Mobile service was made highly accessible by Reliance in India. It started with its CDMA and then forayed into GSM service. People looking for Reliance customer care number are most likely to search online. Our listing of toll free numbers and Email id will be very helpful for them. Customer care numbers are collected from the official sources. We have also given regional numbers for Reliance communications. Find below the separate nos. for prepaid and postpaid users. These numbers are for reliance users only. Toll free numbers are also shared further. You will be assisted by customer support executives on above numbers at any time. Following customer care number is for all users and can be called from any mobile. Toll free number 198 allows all reliance customers to call free of charge. Call for any technical issue, service related issue and account information. You can call on above numbers to get any assistance for broadband of Reliance. Here is the state wise list of Reliance mobile customer care. You can call on these numbers to seek any assistance. Call toll free numbers to get information on Reliance mobile and internet free of charge. Data cards or dongles provide internet during mobility. Datacards are provided by all top telecom companies. 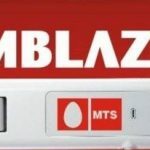 Dongles of MTS, Tata, Vodafone and Airtel are quite popular among users. Do refer our site to your near ones looking for Reliance customer care numbers. Visit our site and get all customer care numbers right at one place. We will soon upload toll-free numbers of other useful services. 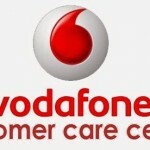 We have covered Customer care numbers of Airtel, Vodafone, Aircel, Idea, BSNL and MTNL at our site. You can search for other services too at icustomercare.in. Reliance customer care number is a list of all Reliance Mobile and broadband customer support numbers. We are gathering the numbers and getting it at one place for benefit of users. If you are planning to subscribe, you would like to know tariff of different services. You will get contact numbers and email address of all services here. Use the numbers to get call rates and internet charges immediately. We have tried our best to make your search for customer care numbers easy and fast. మొబైల్, బ్రాడ్బ్యాండ్ మరియు నెట్కన్సంగ్ సేవల కోసం అన్ని రిలయన్స్ కస్టమర్ కేర్ నంబర్లను కనుగొనండి. మొబైల్ మరియు ఇంటర్నెట్ నెట్వర్క్ యొక్క గొప్ప సదుపాయాలు దాని పరిమితులను కలిగి లేవు. వేర్వేరు మొబైల్ నెట్వర్క్ సేవల వినియోగదారులు తరచుగా ప్రతి సేవ యొక్క లాభాలు మరియు నష్టాలతో మిశ్రమ సమీక్షలను కలిగి ఉంటారు. అన్ని రంగాల్లోనూ కవరేజ్ వచ్చినంత మాత్రాన రిలయన్స్ మాత్రం ఎన్నుకోవడం లేదు. విశ్వసనీయత గొప్ప సేవలను అందిస్తుందని మాకు తెలుసు. மொபைல், பிராட்பேண்ட் மற்றும் நெட்வொர்க்ஸ் சேவைகளுக்கான அனைத்து ரிலையன்ஸ் வாடிக்கையாளர் எண்களைக் கண்டறியவும். மொபைல் மற்றும் இணைய நெட்வொர்க்கின் பெரிய வசதிகள் அதன் எல்லையை இல்லாமல் இல்லை. வெவ்வேறு மொபைல் நெட்வொர்க் சேவைகளின் பயனர்கள் ஒவ்வொரு சேவைக்கும் சாதகமான விமர்சனங்களைக் கொண்டிருப்பார்கள். எல்லா வகையான பிராந்தியங்களிலும் கவரேஜ் கிடைத்தவுடன், ரிலையன்ஸ் நிச்சயமாக ஒரு விருப்பமான தேர்வு அல்ல. நம்பத்தகுந்த சேவை சிறந்த சேவையை வழங்குகிறது என்று எங்களுக்குத் தெரியும். मोबाइल, ब्रॉडबँड आणि नेटकनेक्ट सेवांसाठी सर्व रिलायन्स ग्राहक सेवा नंबर शोधा. मोबाइल आणि इंटरनेट नेटवर्कची उत्तम सुविधा त्याच्या परिसरांशिवाय नाही. वेगवेगळ्या मोबाइल नेटवर्क सेवांचा वापरकर्ते बहुतेक वेळा प्रत्येक सेवेच्या फायद्यांसह मिश्रित पुनरावलोकने करीत असतात. जोपर्यंत सर्व प्रकारच्या क्षेत्रांमध्ये कव्हरेज येते तेव्हा रिलायन्स निश्चितच आज प्राधान्य देत नाही. आम्हाला माहित आहे की विश्वास उत्तम सेवा सुविधा प्रदान करतो. Your sales executive approached us from broadband services at Abshishree Adroit( Ahmedabad). We initiated with the acceptance of the services and completed all formalities and was promised to get the work done. After couple of days we were being informed that connection cant’t be given and for that we asked the refund which was being confirmed by your sales head and customer executive. Its been past 3 months we haven’t received our payment in-spite of several calls and messages. We need our payment asap or we will take legal action towards the same. Because this is cheating what your company have done to grab money from us. Your customer care service staffs not eligible for customer support ! Past 3days I continue explained my data card problem its not accessible for internet,but still haven’t that problem solved ,Even I paid the monthly bill also,there is no any dues,then why you people are negligence for customer? Past 3days I am trying to contact customer care to close my data card net. After pressing all required numbers simply getting answer as thank you for calling reliance customer care and call is discontinuing. What type of customer care this reliance. Even at reliance shop not giving proper answer to close the account. Now I am in soup what is to be done to close the account. We are unable to pay the money for unused bills. Request you people to think before you go for reliance products. Rcom broadband has poorest customer care. I am daily registering complaints but no one cares about. The customer care executives are like parrots and just doing one thing feeling sorries and giving 24 hours time to solve the problem. You can have waivers of rent if your problem does’nt resolved in 24 hours and WORST PART is your problem will be auto closed in 24 hours.I have a 2mbps plan and i m getting 1mbps speed. Customer care is confirming my plan of 2 mbps but their technician is saying i have a 1mbps plan. This is happening after 1 year during which i always have speed of 2mbps. Never choose this company or be prepared to control your anger. The connection ll often be dissconnected and ll came again. You ll never know what is happening. World’s worst service by Reliance Customer Care….Think its reward by a reliance customer. This is Pritpal Singh Reliance Broadband User vide my User Id 340254974126. In the above said period my internet connection was not worked. your can check my internet usage record for the same period. You can check for instance, my last complaint 250878314 dt: 11-10-16 it will be resolved automatically without resolving the issue. In spite of my above all complaints about same issue NO BODY FROM RELIANCE SERVICE CAME TO ME TO RESOLVE THE PROBLEM. and My all complaints are closed automatically with status that your problem has been resolved successfully. but the problem is still exists. I also reported the same issue to Reliance Ludhiana Service Head Mr. Jaswinder Singh 09377125033 but he is also not able to resolve my complaints on same issue. Think if Service head is doing nothing then who can?? My all complaints was resolved automatically same day but without contacting my and without doing anything about the internet issue. Every time I got message of my each complaint from reliance that ” your complaint has been processed “. but nothing was done. I THINK THIS THE WORST CASE OF CUSTOMER HARASSMENT BY THE RELIANCE CUSTOMER CARE. Please look into the matter on urgent basis. Otherwise, I will constrain to go for Consumer Court for reliance bad and worst customer service and for my business loss during that period. Who came to the customer for resolving the complaint ?? Why all my complaints are closed automatically, without resolving the problem and without taking consent / confirmation form customer about he problem??. Is this a kind of service ?? My account was closed in month of June 2016 but still you people continue to bill my account, it is strange and really pathetic on your account. The closure was done with all proper requirement but still you have not upgraded your systems. Your customer care is best in cheating customer with wrong information.My reliance data card number 9374471460 was closaed at ypur outlet Req ID 254395256 dated 13th Feb17.I was assured that my net will be terminated by 19th Feb17.This was not done when I phoned to customer care Req ID 254777540 dated 28th Feb and informed me that my data card is just suspended and not closed due to technical error.He assured that my bill will not include any charges from 23rd Feb17.Unfortunately I received your bill very next day for the total month of Feb17. Today once again I received your bill without any clarification. I am not going to pay my bill from 19th Feb17.If it is not resolved within a week I will be forced to report this matter to IRDA.